New Delhi: Kashmiri sellers of shawls and dry fruits residing in metro cities like Delhi, Mumbai, Bangalore etc are under the scanner of the Intelligence Bureau (IB)). 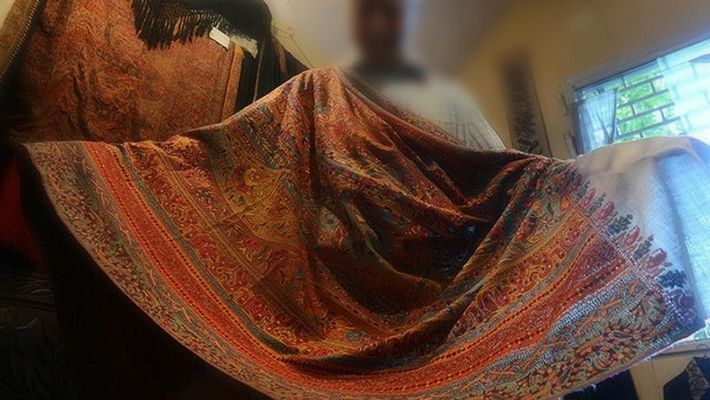 Last week, the IB picked 7 Pulwama-based men involved in the business of selling shawls from Delhi after noticing their involvement in some suspicious activities. Agencies claim that some of them are working as informers of terrorists. Meanwhile, local as well as central agencies have tightened the security of government establishments after the IB suspected a fidayeen-type attack in Delhi. The IB has been keeping an eye on men who recently moved to Delhi from the strife-torn areas of Kashmir. Working on the input, seven men from Jama Masjid and Chandi Mahal areas came under the scanner. All of them were interrogated jointly by different agencies. These suspicious elements hail from Pulwama. Initially, the IB picked up five suspects but later two others were asked to cooperate in the questioning. The IB has learnt that the men sell shawls, which they get from Kashmir. The suspects have been released, though. Jammu and Kashmir Police were asked to verify their credentials. Apart from this, more than 10 other Kashmiris residing in the Jamia area of south-east Delhi are under the scanner. Dry fruit sellers, especially almond sellers, from Kashmir are under the scanner too. Agencies are keeping an eye on the funding of these sellers as it was earlier noticed that large funds allegedly used for terror-funding had been sent under the pretext of almond purchases. The National Investigating Agency (NIA) in 2016 had filed a case after it found that money-launderers sent huge money from Pakistan to India through the import of California almond and allegedly funded separatists later to fuel violence in the Valley. Meanwhile, the IB has warned guarding agencies, including the Central Industrial Security Force (CISF) and the local police, to keep a ‘strict’ check on their establishments and vehicles as terrorists might use similar looking vehicles, like some painted in Army green, to carry out attacks. The CISF is responsible for guarding all important government offices. According to sources, a message has been conveyed to all agencies to enhance the security of their establishments, especially those who are located in isolated places. The IB has asked the CISF to spruce up security at all major establishments, like the North Block and South Block where the home minister, the finance minister, the defence minister, and even the Prime Minister have their offices. The personnel were also asked to keep a check on people moving around these sensitive establishments. On February 14, at least 40 CRPF jawans were killed after Jaish-e-Mohammed suicide bomber rammed an SUV car with 350 kg of explosives into a security convoy of 78 vehicles carrying over 2,500 personnel.